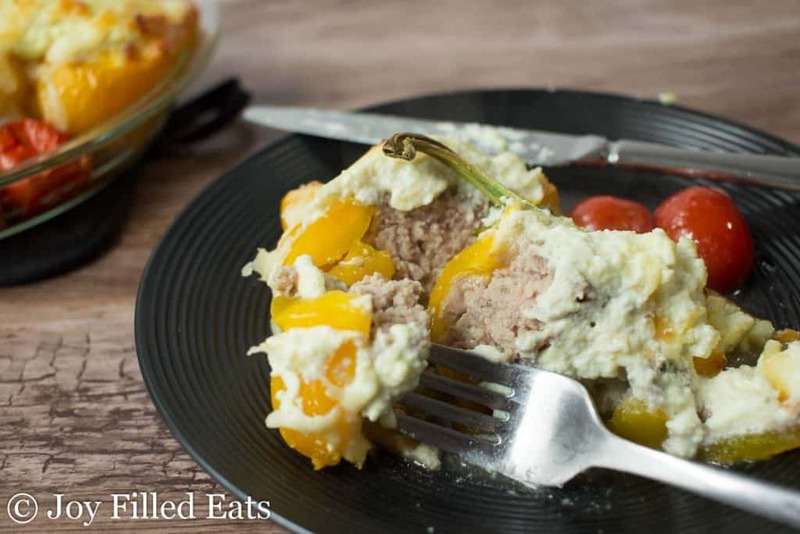 These White Lasagna Stuffed Peppers take an easy dinner staple to a whole new level. 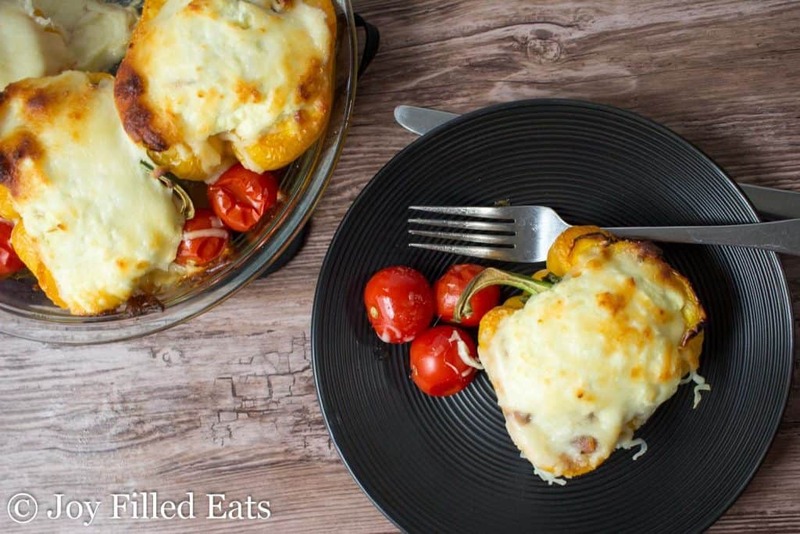 With only 5 ingredients and a very simple preparation, they are a great dinner for a busy night. These lovely yellow sweet peppers have been staring at me for days. I have a like affair with peppers. I like them in certain dishes but don’t necessarily love them. They need to be used the right way for me to enjoy them. This recipe was definitely a way that I enjoyed them. I love white lasagna. Even the frozen vegetable white lasagna that my mom buys around the holidays sometimes. The savory creamy sauce in every cheesy bite it a definite winner. I added ground turkey to these to make more of an entree than a side. But for my vegetarian readers (Mom, this means you) you can easily sub the ground turkey with some chopped veggies. I think a combination of spinach and steamed cauliflower would be delish. My vegetable garden was sorely neglected this summer as my baby belly grew. It is completely overgrown with weeds and an eyesore at this point. But there are still tomatoes amidst the chaos. My oldest son will go out every few days and pick them for me. I had so many that I added a few in between the peppers for a pop of color in this dish. This is completely optional. A couple weeks ago my son came in and said, “Mom, there is this big yellow thing in the garden, do you want me to pick it?” I, thinking it was a yellow squash, said “Sure.” Nope, it was a long forgotten cucumber. And that is what happens when you have a baby in early September in the Garden State. This dish really does have a 5-minute prep. 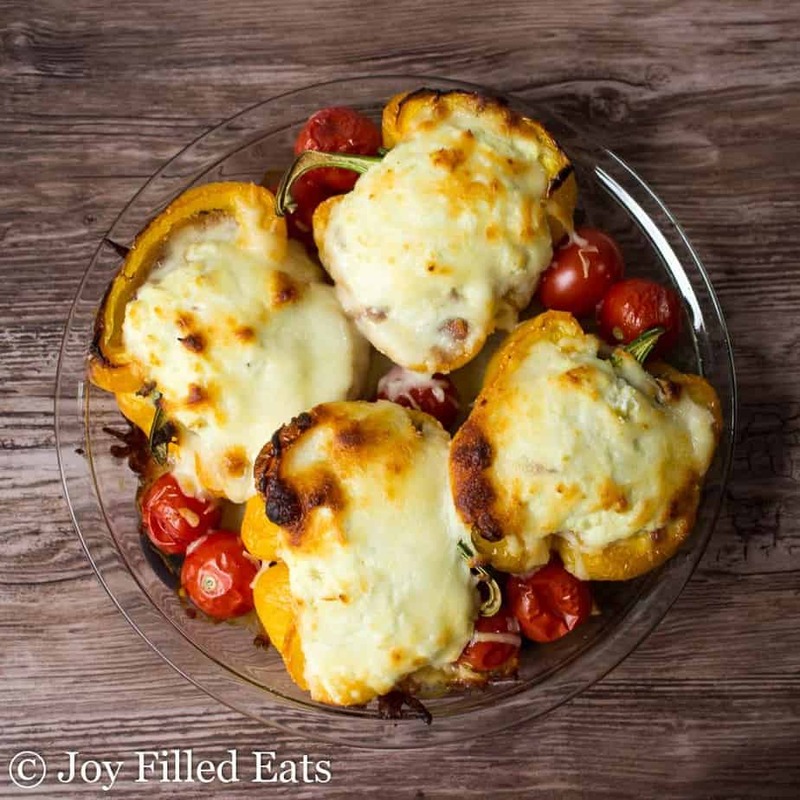 You just layer some stuff in the lasagna stuffed peppers and bake. Add more and bake some more. That is it. Mmmm.. I love the look of anything covered in cheese. If you want to make classic red sauce lasagna stuffed peppers just add some marinara. Or drizzle some on top before serving. 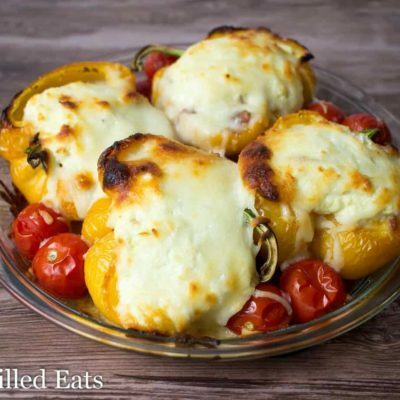 Put the halved peppers in a baking dish. Sprinkle with 1/4 tsp garlic salt. Divide the ground turkey between the peppers and press into the bottoms. Sprinkle with another 1/4 tsp garlic salt. Bake for 30 minutes. 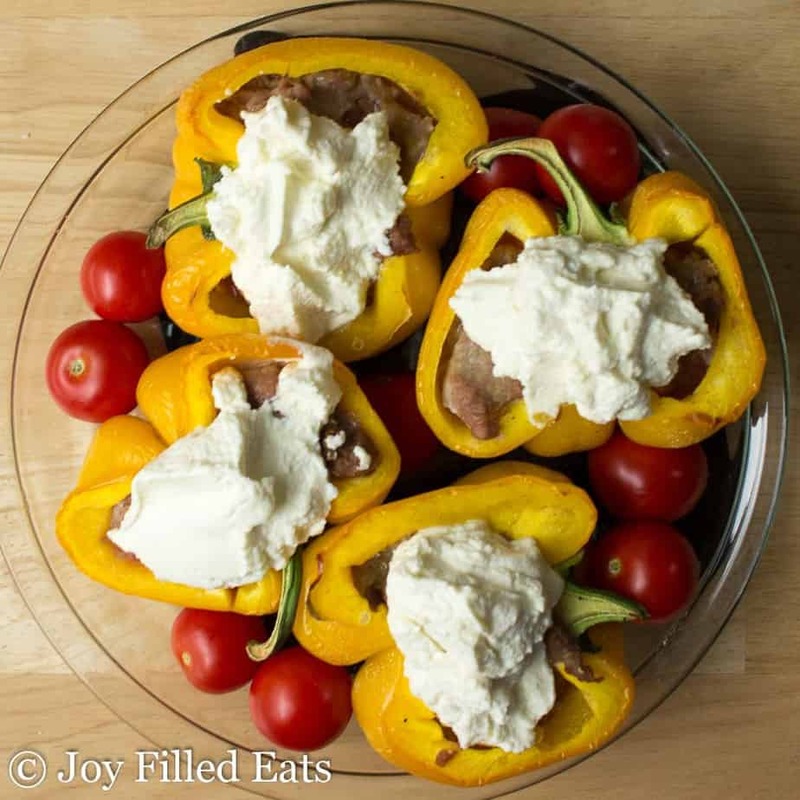 Divide the ricotta cheese between the peppers. Sprinkle with the remaining 1/2 tsp garlic salt. Sprinkle the mozzarella on top. Put the cherry tomatoes in between the peppers, if using. 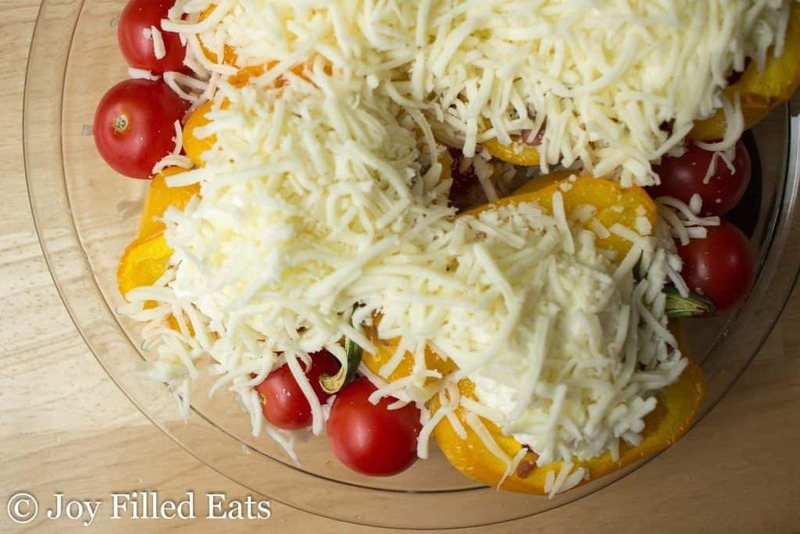 Bake for an additional 30 minutes until the peppers are softened, the meat is cooked, and the cheese is golden. So easy and I love that there are only a few simple ingredients! 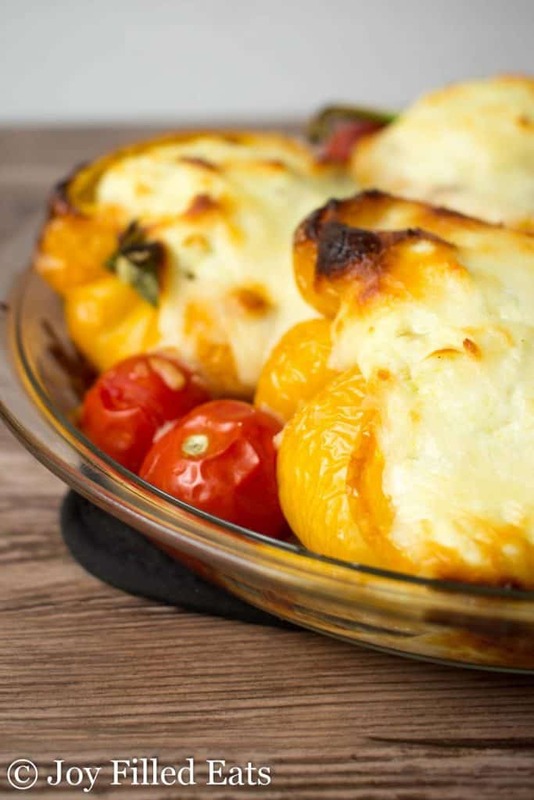 This looks like a delicious way to help eliminate some of the carbs of a traditional lasagna. I adding this to my menu for next week! While I normally love all your recipes, I felt this one fell a bit flat. The meat was so bland! I'll give it another go but season the meat before I put it in the peppers. I'm sorry you didn't care for this one. We found the meat delicious when taken in the same bite as some of the pepper and toppings. Did you sprinkle the meat with garlic salt as directed? Truly amazing and very filling! Do you happen to know the nutritional information for fiber? The fiber wasn't showing up because each serving has less than 1 gram. I changed it so it should be there anyway. This sounds sooo good!!! Can't wait for the hubby to make it for us!!!! How would you suggest adapting this AMAZING recipe to the Instant Pot (I've baked it but would love to be able to pop it in the Instant Pot for a quick meal). Hmmm. 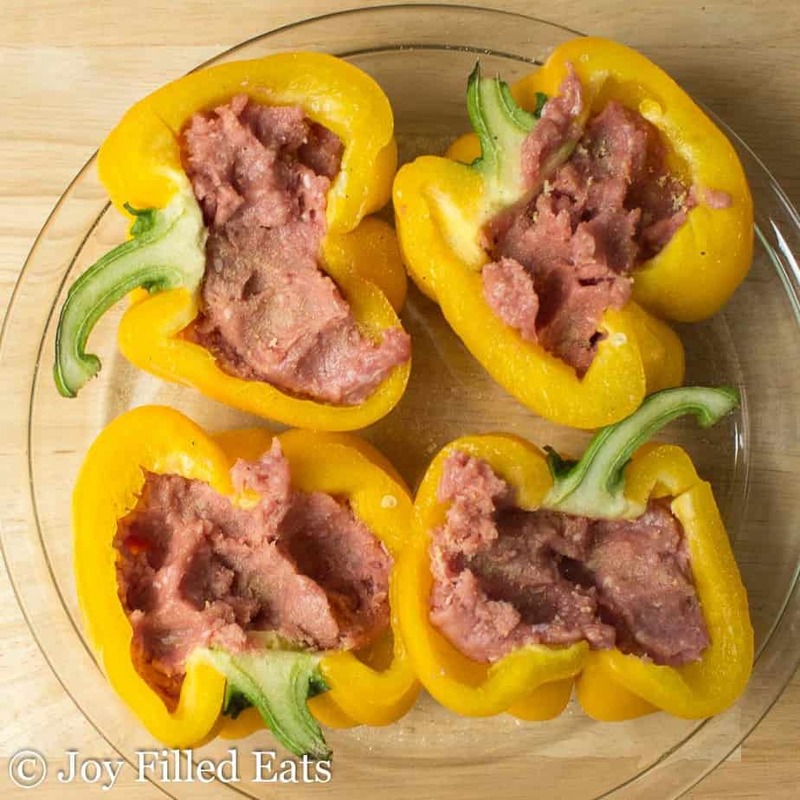 I have never done stuffed peppers in the instant pot. I'd probably try 10 minutes on high pressure placing them on the rack (1 cup of water under). Lmk how they turn out! This looks delicious, can't wait to try it out! This is probably a naive question, but do you or the meat in raw or already cooked? You put the meat in raw. It cooks as they bake. Do I cook the turkey before I put it in the pepper half? No, you don't need to. It cooks as they bake. I had never had "white lasagna" before, but these peppers sold me, so good! 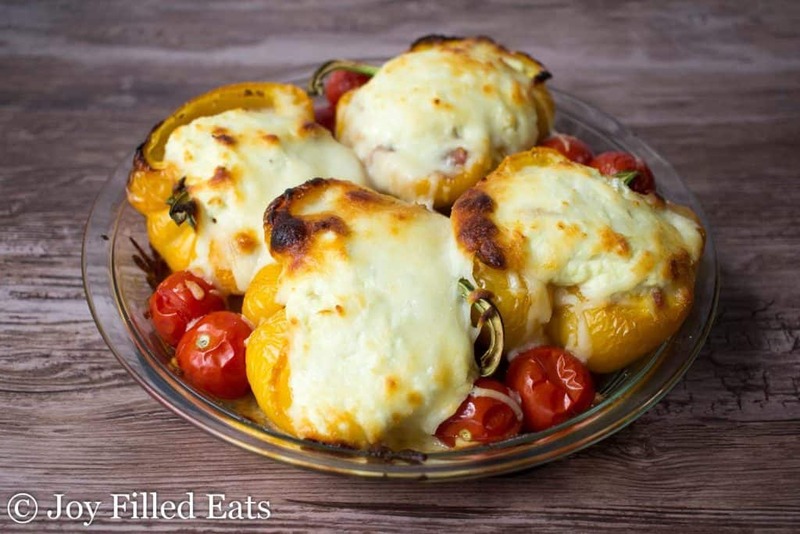 The BEST filling for stuffed peppers! 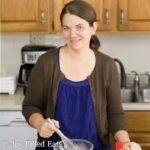 Truly a fun, delicious recipe! What a simple, delicious and innovative way to make lasagna! Can't wait to try this! !